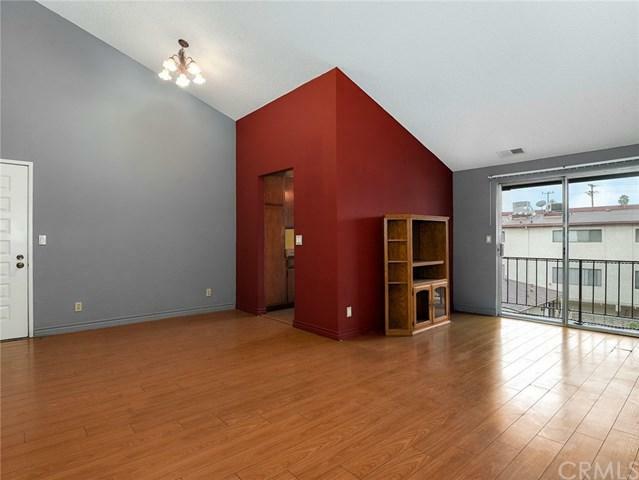 Welcome home to this lovely 2 bed 1 bath top floor unit with lots of natural light and vaulted ceilings. 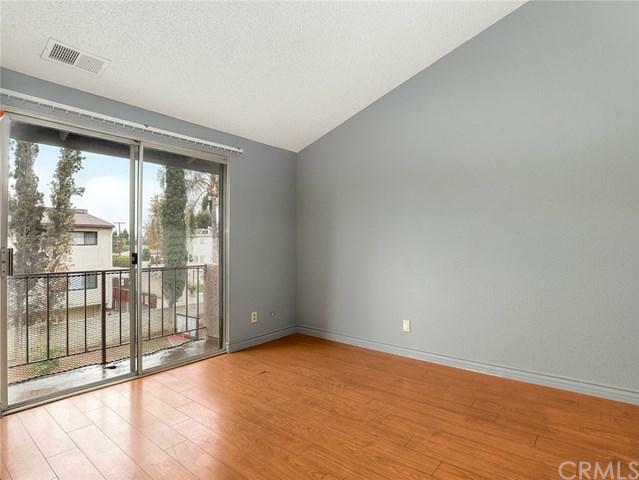 Laminate floors throughout with balcony off living room. 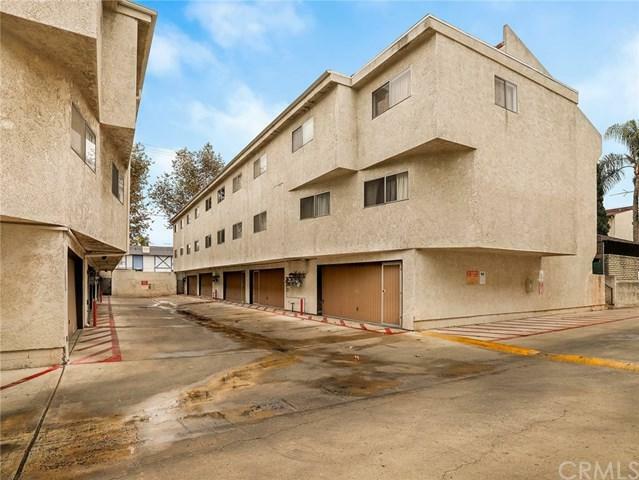 Gated community close to shopping and transportation. 2 Car tandem garage with central AC and heat and walk in closet in bedroom.